The right Dryer: Experts advice that the best hair dryer has to have at least 1,800 watts. In addition to that, it has to have multiple heats and air settings to suit the different conditions of your hair. The nozzle: This is just as important as the other parts of the dryer. Its main function is to prevent your head and head from getting too close to the source of heat. The hairbrush: Also known as the round brush, the hairbrush serves the purpose of straightening the strands, flipping the ends and creating the necessary waves for the hair dryer. Hair clip: The main purpose of the hair clip is to separate the different layers of your hair and keep them from damage caused by sections over drying. After gathering these tools, you should pick your products too. These may include Mousse, cream and hair spray depending on your preferences. What are the steps to take when straightening your hair using a hair dryer? Before beginning this procedure, it is important to note that how you straighten your hair will vary on your type of hair. 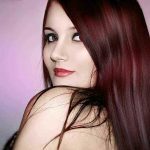 In this article, we will provide you with steps of straightening straight hair and curly hair. 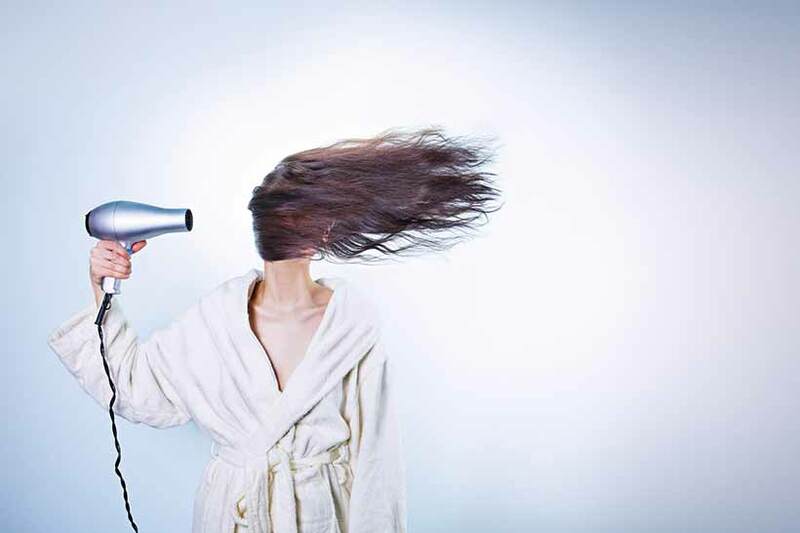 Predry and section: Immediately after toweling off your wet hair, the next step is to set your hair dryer’s heat. Experts advise that you should set it at somewhere around medium heat and set it at high speed. You should then blow your hair until most of it feels dry. Using a clip, secure the hair on top of your crown. You should then concentrate on the lower layers. Increase the dryer’s heat slightly for these parts. While at it, ensure that the nozzle of the dryer points downwards for better results. Drying of the top layers: The second step involves drying of the top layers. Here, you should remove the clip at the top of your crown and use it to hold your back hair. While concentrating on the roots, blow-dry the top part of your head using the hair straightener. After you are happy with the results, you should remove the clip and shape the hair to your desired style. The styling cream will also come in handy at this stage. Apply the conditioner and the gel: After you have applied the conditioner to your hair, flip most of them to one side and use your fingers to run the gel in them too. Concentrate on the roots of the hair and the tips too depending on the length of your hair. Use the diffuser: For curly hair, concentrating on the roots is the best idea. After setting your dryer to a lower temperature range, use it to heat the basement of your hair using medium speed to avoid causing damage to the curls. After this, put the diffuser on the roots of your hair and allow them to dry naturally. Depending on your personal preferences, you can use a small amount of palm oil to smooth your hair finish it using your favorite style. Using a hair dryer is not at all a hard task. As long as you have the right hair dryer basing on the review above, you can blow-dry your hair without major problems. However, it is important to note that, the method you use while blow-drying will depend on whether you are straightening straight or curly hair. 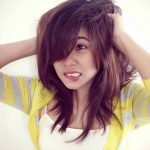 How To Prevent Heat Damage While Straightening Your Hair?